This 3.62 acre site was a former 1960’s borrow pit used for the construction of the Illinois Tollway. There are 199 acres tributary to the Dalitsch pond, which is classified as a Waters of the United States. The majority of the 199-ac watershed to the pond is from off-site areas comprised of high and low/medium density development, including the I-94 tollway. The pond is located within the Regulatory Floodplain and is directly upstream of the Middlefork Savannah (an extremely high quality wetland complex). The pond condition (water quality and shoreline) was extremely degraded. 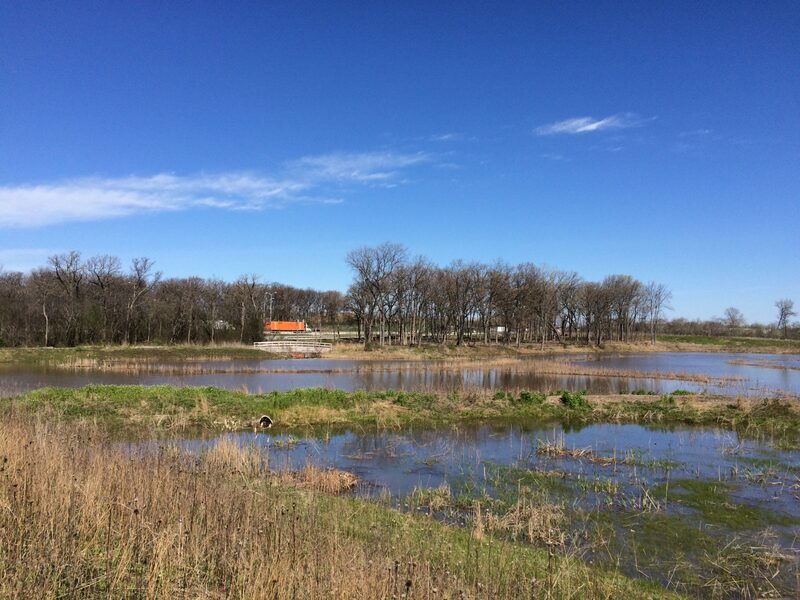 Based on its location, the pond was identified as having potential to filter and improve water quality entering the Middlefork Savanna Wetland. 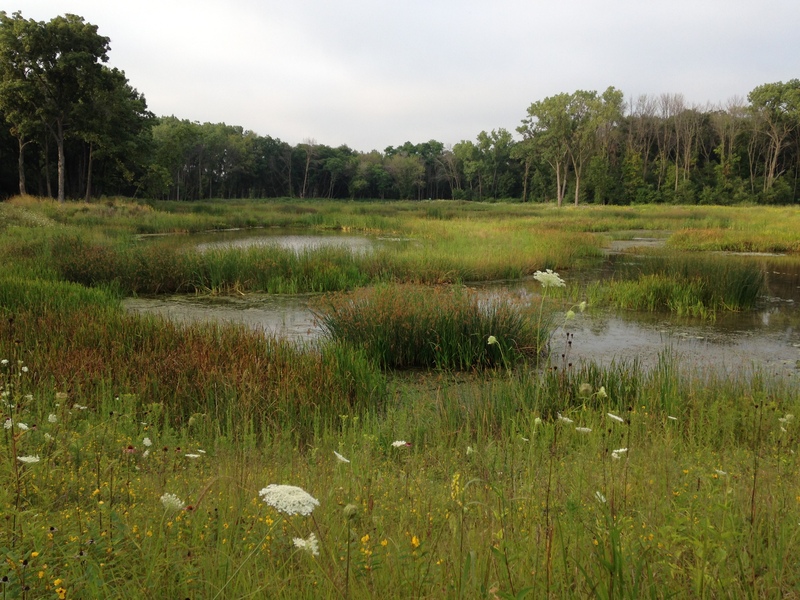 The objective of the project was to preserve and protect the high quality Middlefork Savanna Wetland by improving water quality entering the wetland. The Middlefork Savanna is considered the highest quality tallgrass savanna of its kind in the nation. The site also provides habitat for the Blanding’s turtle, a threatened and endangered species. Shallow mudflats were used to maximize the flow path length from the primary inlet to the outlet. 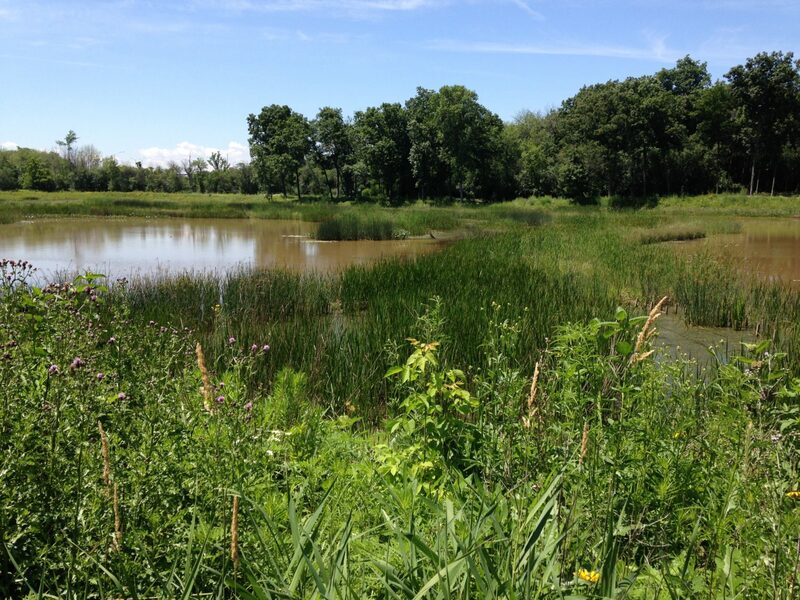 Funding sources included IEPA 319 Grant, Lake County Stormwater Management Commission – Wetland Restoration Fund, City of Lake Forest, Lake County Forest Preserve, and Lake Forest Open Lands.